During our pilgrimage trip to Sri Lanka in Dec 2010, Chief Rev. Indaratana initiated the idea of organizing a Novitiate Program in Sri Lanka. On the Island Sri Lanka as we know, there was fighting between the Tamil Tigers and the Government for the past many years. It was only last year that both sides compromised and ended their fighting, for the benefit of the people and country. Hence with the beginning of a new era, organizing a novitiate program with 60 participants will be the first novitiate program in Sri Lanka. 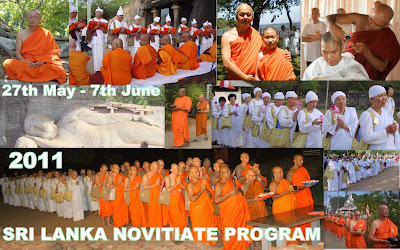 To our surprise many Sri Lankans experienced this novitiate program for the first time. They were ignorant as to "what to do, how to make offerings to monks, and how to serve them". The 60 participants, both Samaneras and Upasikas stayed in Hotel Sudu Araliya, situated beside a man-made lake. The environment was very conducive, breezy and with a large garden for meditation (sitting or walking). Looking at the waves is a bliss and good relaxation for many participants. The ordination was held at Gal Vihara, the Ancient Site. The images of Buddha in different positions were carved from lime stone. The journey to the Ancient Site was about 20 minutes drive from the hotel. When we travelled to the Ancient Site, we were led by a police car. We were welcomed with Sri Lankan music and dance by the young students. The Sri Lankan Minister of Health officiated the ordination. Even though it was the first time for some of the Samaneras and Upasikas to participate in this novitiate program, they carried themselves very well and were disciplined. On one of the nights, we went for a candle light puja at Gal Vihara. The event was very touching to us. The temple ground was closed to the public as it was reserved for the us only. 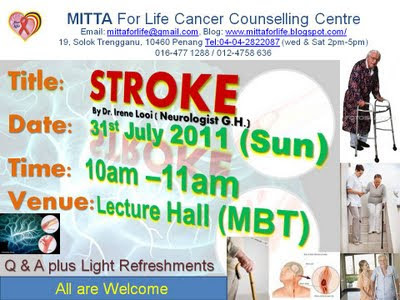 Indeed, we had 2 very good dhamma and meditation teachers who guided us daily in dhamma / meditation and Q & A sessions. It was a new paradigm shift for us in understanding Buddhism. By practicing a very simple and relaxing way of meditation, we realize and understand the causes of sufferings and how to be liberated from samsara. and it stopped when the chanting finished. The drops of rain on our face were refreshing as they did not drench us.